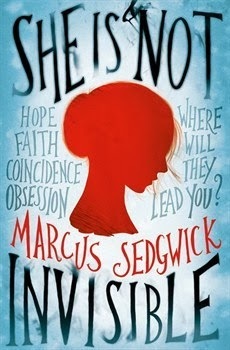 Author: Marcus Sedgwick Genre: Young Adult - Contemporary Release Date: October 3rd, 2013 Published by: Orion Children's With thanks to Orion for sending me a copy for a fair and honest review. As always, my reviews are non-bias! I was so amazed by the synopsis of She Is Not Invisible that I was bemused by it. Totally unique and intriguing, I was so pleased when I got sent a copy by Orion (their books are awesome!) for review. YAY. What struck me first was how detailed and precise Laureth's narration was, and how intricate her life was like being blind, but that it did not trouble her at all. It was so realistically accurate that I was astounded at how powerful Marcus Sedgwick had written her point of view. Her outlook on the world was strong and vivid, because she had learned to perceive things differently to how others would with sight, and how strong of a poise she had regardless. 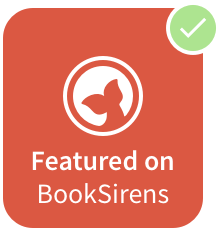 The story follows Laureth as she steals her mother's credit card to journey to find out what happened to her father, who's notebook has shown up in New York after he was doing research in Austria. He's been trying to write a novel about coincidence for several years and without success. Laureth's mother thinks he has an obsession with it, though Laureth has her own suspicions, including thinking he might be heading for a breakdown of some sort, but that something just isn't right about the situation. So when she finds out about his notebook showing up nowhere near Austria, and all the way over in NYC, Laureth knows that the pieces don't add up and she must do something...soon. With her odd little brother Benjamin, she heads off into the unknown territory to find her father. I thought at this point, and at many before and after this point, that Laureth was incredibly brave, yet delicate at times, she had the courage that isn't found in just anybody, but in someone who truly believes in themselves, blind or not. I was amazed that in the entire novel, there wasn't a moment where I thought I was missing out on any descriptive writing or lacking details, because of Laureth being blind. She was inquisitive and very aware of her surroundings, and that made for a magnificent novel with more power and emotion than I had read in a very long time. I was baffled, fascinated and hooked at the challenges that Laureth and Benjamin and their family went through throughout the novel, and the consequences and coincidence that intertwined with the plot was inevitably brilliant. A huge five star novel that's surely going to be loved by many more to come, that I thought was astonishing and flawless. Incredible! Have you read "She is Not Invisible"? What did you think? Tell me in the comments or at @LittleMemoirs on twitter! happy reading!